Back at the front lines, the five Kage struggle to hold their own against Madara’s Susanoo-clad wood clones. However, Ōnoki rallies them to fight, noting that they need to fulfil a task at which they cannot fail. 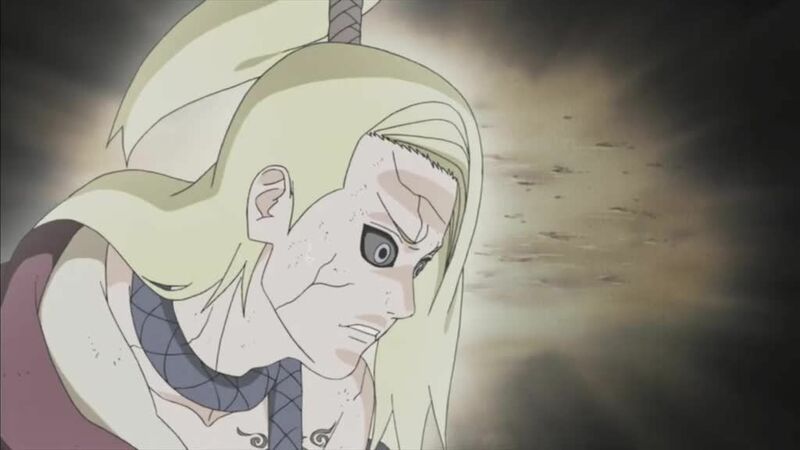 Madara realises that Ōnoki is the problem and that he must break his will. With that, the Kage go on the offensive against Madara’s clones once more. However, the situation soon takes a turn for the worse as Madara in turn responds with his full power by activating his final Susanoo and proceeds to use its sword to attack them. Elsewhere at the cave, Itachi commands Kabuto to put an end to the Reanimation Jutsu. Sasuke resolves that he will destroy the village that made his brother suffer for so long and bids farewell to Itachi forever. As lights begin to descend on the battlefield and the reincarnated shinobi begin to fade into pillars of light, Itachi approaches Sasuke and uses his Sharingan to show Sasuke everything about the Uchiha clan massacre. With the truth revealed to Sasuke at last, Itachi then imparts his final words to his brother, stating that no matter what happens and regardless of what he does from here on out, he will love him always.